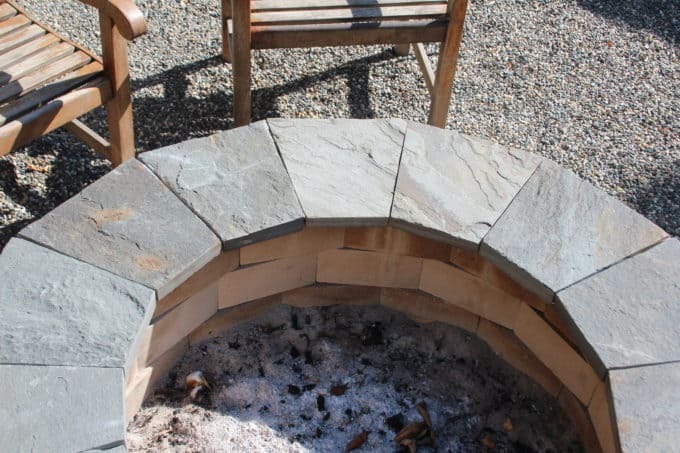 This is the last tutorial in a series on how to build a stone veneered fire pit. 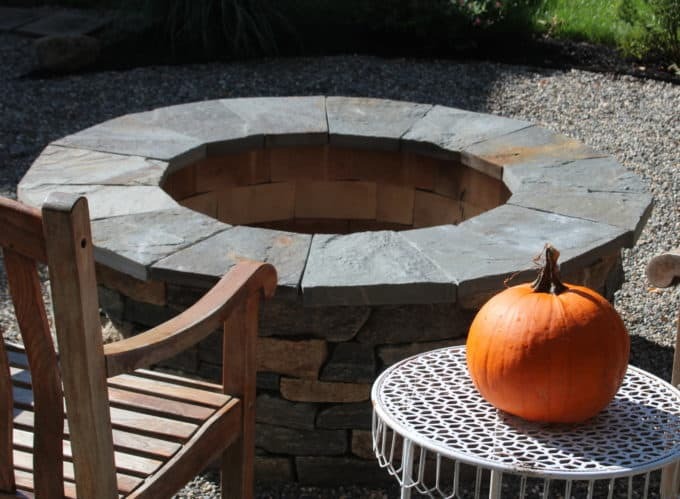 If building a fire pit is not on your radar anytime soon, you might be interested in these posts instead! 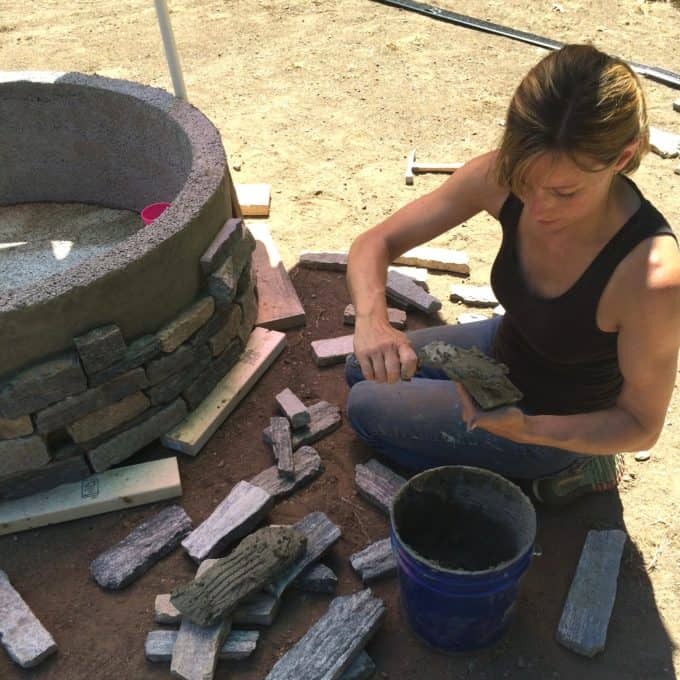 If you’re new here, this summer I built a natural stone fire pit using a kit from Stone Farm. The kit consists of a cement base and three wall pieces that are mortared together. I then covered that base with natural stone veneer, lined it with fire brick and finally, capped it off with blue stone. I also made a pea stone patio with a surrounding garden as part of this project. 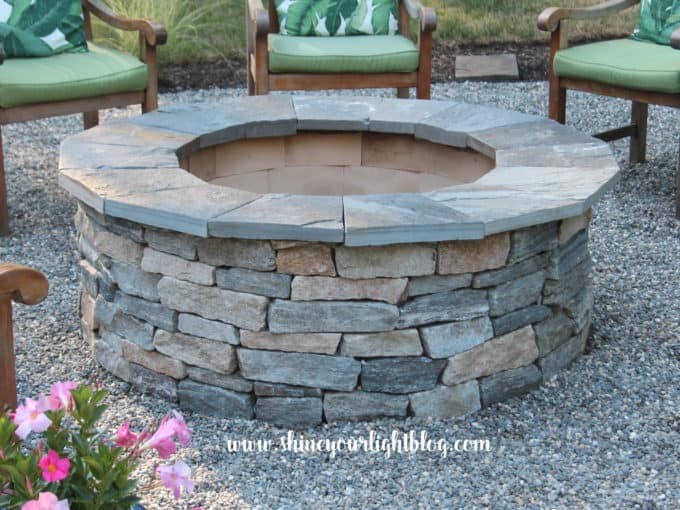 I wanted to share each part of the process so that if the day ever comes when you tackle this kind of fire pit build or install a pea stone patio, all the details will be right here to walk you through the process. This was DIY almost all the way and if I can do it, so can you! 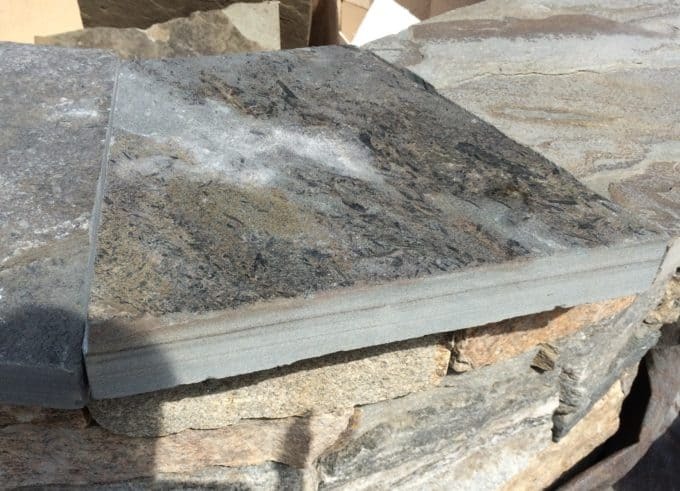 Our local stone yards offered two piece custom-cut bluestones like this one above. 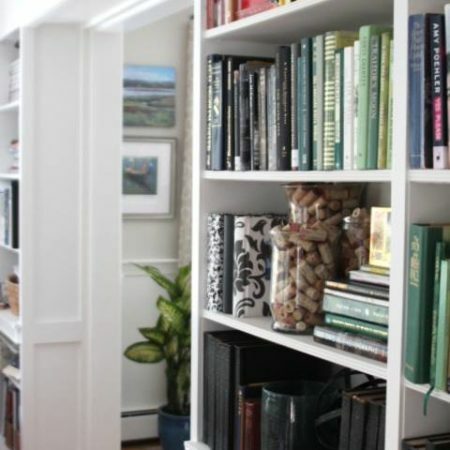 They could be cut to our specifications and only have two seams where the semi-circles met, and could be delivered to the house. However, this option would have run us somewhere in the neighborhood of $500-800 for just the capstone. Mark and I thought hard about whether to go this route and really give our fire pit a professional looking finish considering this will be in the center of our backyard for years to come. 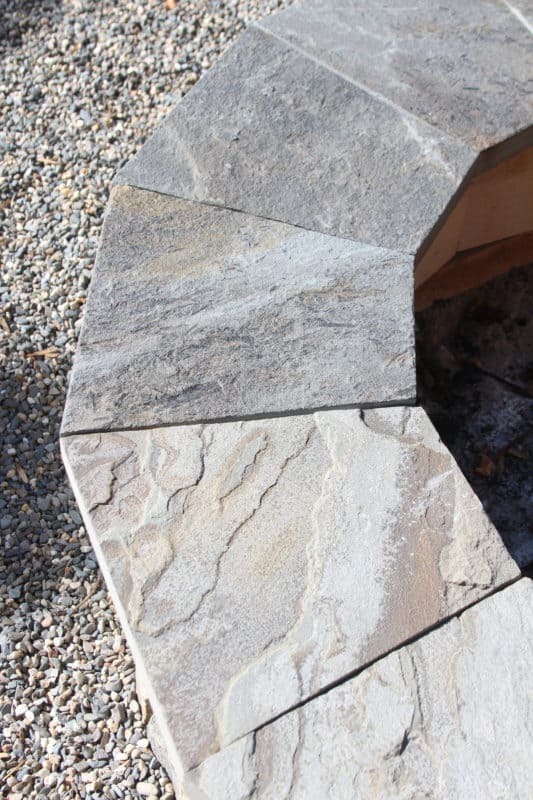 I studied about a million pictures of similar stone-veneered fire pits online and while Mark and I both loved the custom cut capstones, images like this got me thinking….. 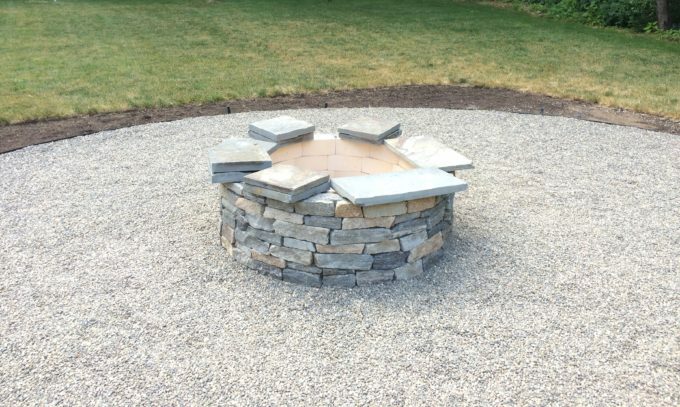 This fire pit below that has a capstone made up of series of stones cut into isosceles trapezoids to create a circle (yep, 10th grade geometry terms coming at you right now!!) really got my wheels turning. 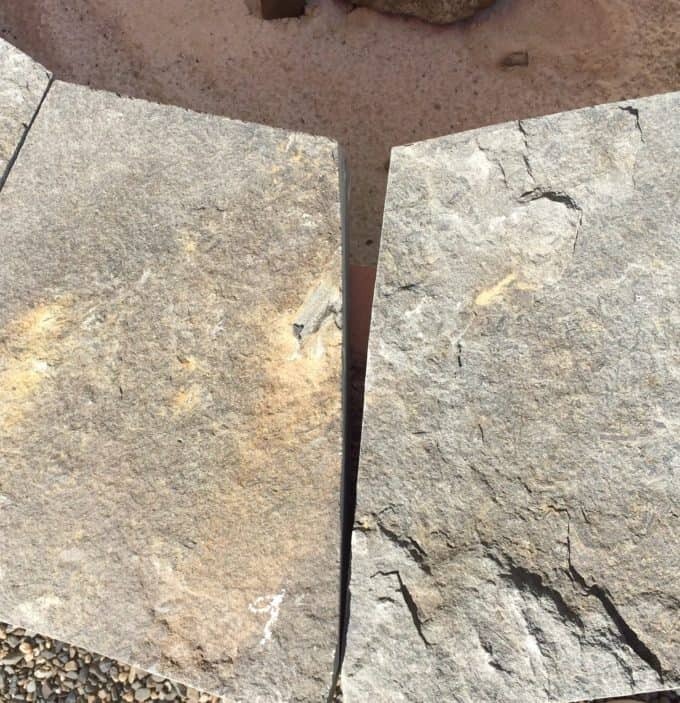 These smaller stones seem to be a common way for masons to finish off a built in natural stone fire pit, but I couldn’t find the scoop on how to create a capstone this way anywhere. Professional masons often cut the stones on site, or they measure and have the two or three-piece capstones cut with machinery. 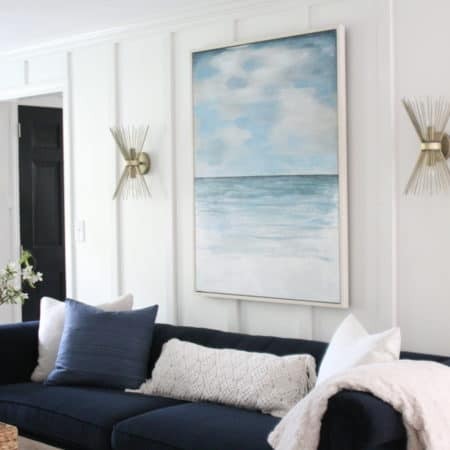 What’s a DIYer to do? I batted around ideas with the guys at a couple local stone yards, who were so fired up that I was building this myself and offered many great tips and insights. 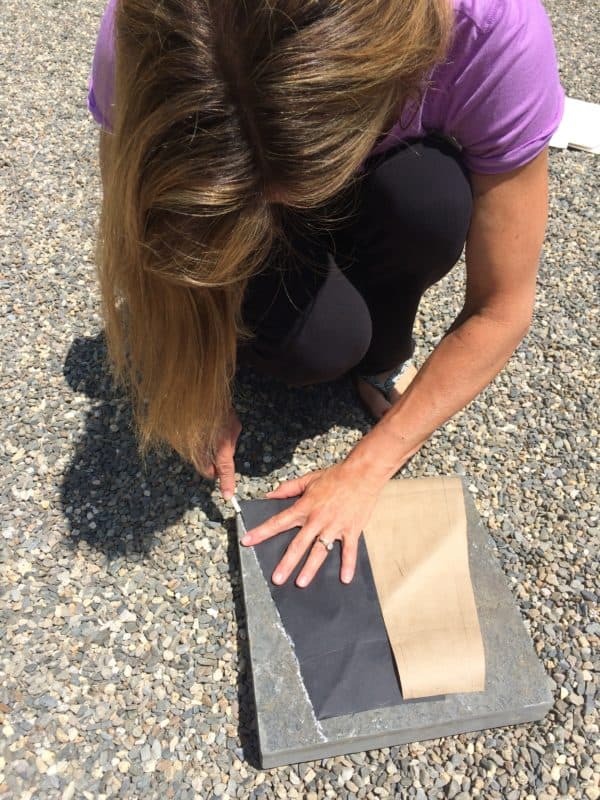 I came up with this idea to use thick, square bluestone pavers and cut them into trapezoids just like in the fire pit above, and my new friends at one stone yard helped me make it happen! I was planning on buying a saw blade to do the cuts at home (the stone yard guys said it’s similar to cutting wood, so I thought I’d give it a try) but for a small fee per stone, the stone yard offered to cut the angles for me if I marked the stones. So without further ado….. 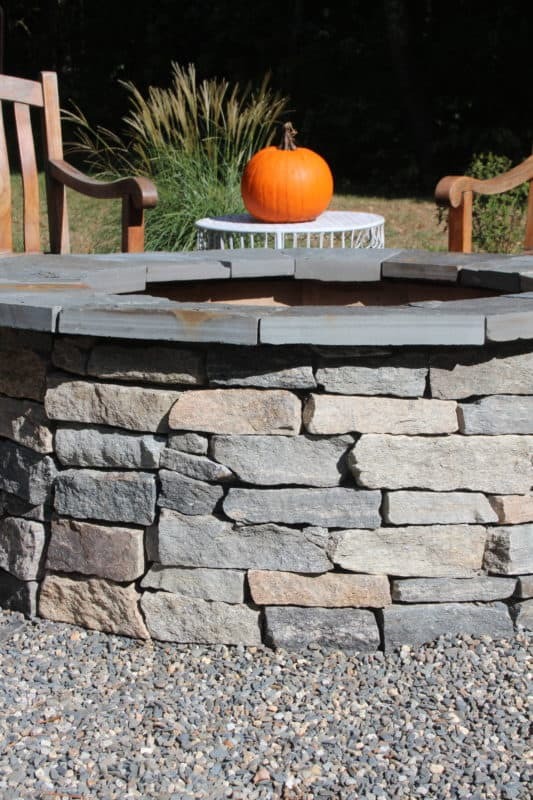 Here is how I figured out how to DIY a fire pit capstone. 1 | Choose the bluestones you want to use. 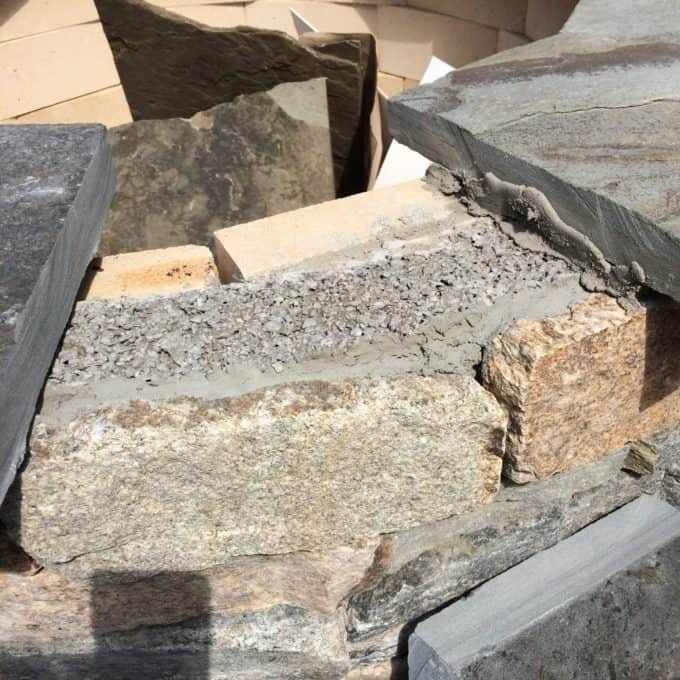 I looked over all the square and rectangular stones to find ones with similar coloring and thickness (natural cleft stone that I used has irregular widths. See below for more info on cuts of bluestones.) The rectangular pieces I chose where cut down to 12″ squares before their isosceles trapezoidal cuts were made. After choosing the stones, I brought them home to mark them, and this is where the vision really started to come to life! 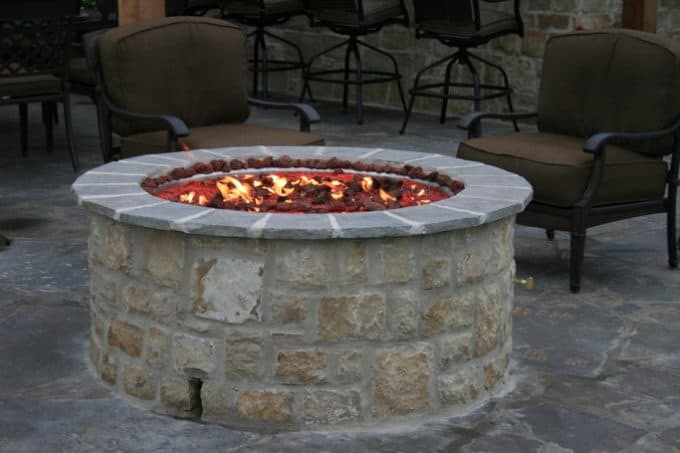 2 | Make a template of your fire pit. Just like with kitchen countertops, measuring is not enough. Go the extra mile and make a template so that your capstone is sure to be perfect. 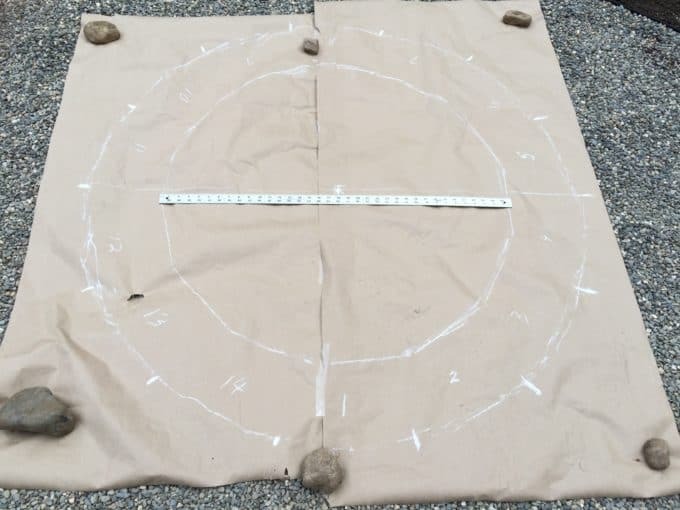 I made a template with craft paper (two pieces taped together) that I laid across the fire pit and then outlined the exterior and interior circles with chalk. 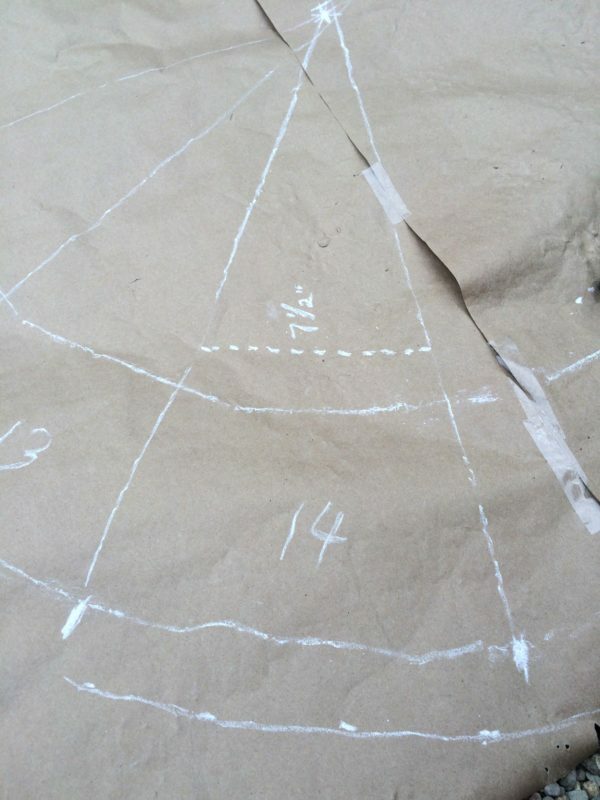 I measured the inside and outside circles and double checked to make sure my markings were accurate. I actually ended up doing this twice after doing a whole lot of math and online pie chart creating didn’t work out quite right, and coming back to my original plan. I really should have sent this problem to my engineer-father-in-law who would have figured it out in a snap! 3 | Divide up the template into equal parts. 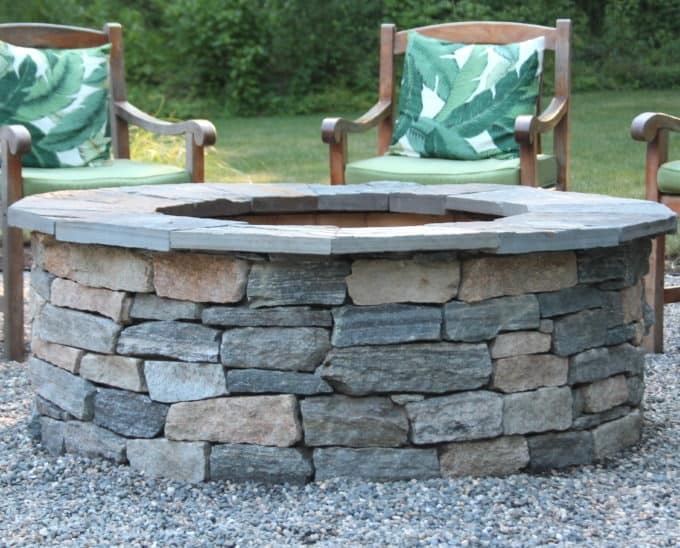 I allowed for a 2″ overhang on the exterior of the firepit, and needed 14 stones (12″ wide). 4 | Cut up the template and transfer the isosceles trapezoid shapes onto the stones. Instead of using one piece of the template on all the stones, I cut out each piece of the pie and traced each of them to ensure a perfect fit. Before I traced the shapes onto the stones I placed the craft paper cut-outs on the fire pit to double check that they all fit together correctly. The stone yard had given me a soap stone “pencil” that I used to mark the stones – the soapstone just wipes off when you are done, but is less likely to lift away as easily as regular chalk does. 5| Have the stones cut by your super awesome stone yard, or cut them yourself with a circular saw. I can’t give you any advice on cutting them yourself, but your local stone yard might be able to advise you on the best practices for that. According to my stone yard pros, it’s similar to cutting through a piece of wood with a circular saw. Make sure you take safety precautions including eye and ear protection if you go this route! 6 | Dry fit the cut stones. Keep in mind that even the slightest degree off on your markings or the cuts can result in gaps between the stones like this photo below. These gaps can be alleviated somewhat by adjusting all the stones in the circle. I ended up making a template of this one last spot and having another stone cut to fit perfectly. It was well worth the extra $12 to make the last piece of this puzzle come out right! 7 | Cement the capstone to the top of the fire pit. I used Heatstop refractory tolerant cement on the recommendation of local mason. I used a measuring cup and mixed a small amount by hand with a little trowel. This cement has a 2:1 ratio of cement to water. Start with the water in the bucket first and then add the cement to avoid a big clump of dry cement on the bottom, and mix just like you would a cake mix, until it’s smooth. It dries in the bucket really quickly so mix it up in small batches and start installing right away. You can see in this picture below that the capstones are going to be resting on the cement base that is sandwiched between fire brick and stone veneer. The height of these is slightly irregular. Apply the mortar to both the top of these three layers to create a level foundation, “butter” the center of each bluestone, then place the stone on and wiggle it for a good adhesion. Some of the mortar will be pushed out on the sides and that’s fine. Take care to ensure the stone has a good adhesion and immediately wipe or scrape off any mortar that gets onto the top of the bluestone, because it’s a beast to remove after it’s dried. 8 | Add a bead of cement under the stones on both the interior and exterior edge. 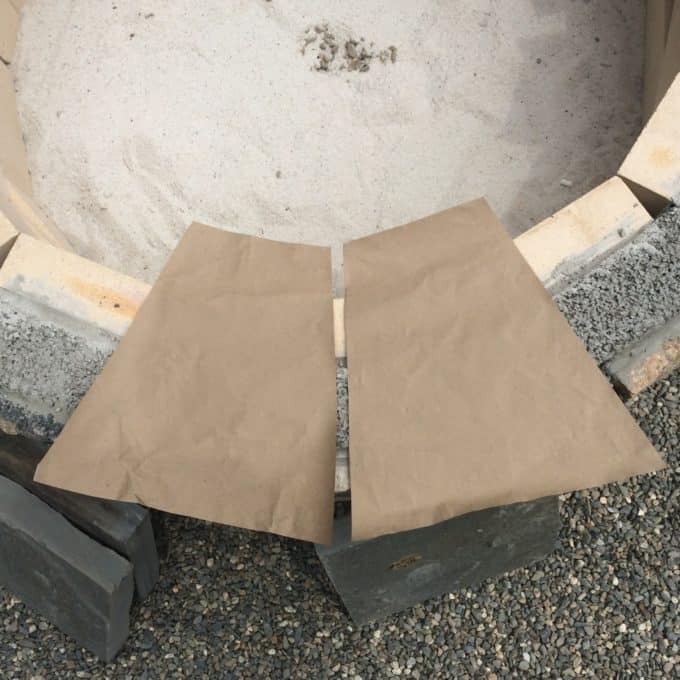 This is especially tricky on the inside of the fire pit because you have to get down under the stone and it’s hard to see where you’re working, but this added bead of cement cleanly seals the bluestone to the fire brick (inside) and stone veneer (outside). After you have mortared the capstones into place, keep them dry for a few days. I covered this with a tarp for a couple of days to protect it from our irrigation and rain and allow the mortar to cure. 9 | To mortar between the seams or not: I talked at length with a stone mason about different styles of stone work. Whether to show the mortar or not is completely up to you. I installed the stone veneer to the sides of the fire pit without any visible mortar and this was by design. With the capstone I decided NOT to mortar in between each stone because the joints are pretty close together and I’m not concerned about them coming loose. 10 | Clean the bluestone. After the mortar has had a chance to cure, give the bluestone a scrubbing with water and a brush to remove stone dust, bits of mortar and markings. I just used the hose when I was watering my plants to wet it and then used a nylon scrub brush. As the sun dried the stone, the pretty colorings of each stone came out. 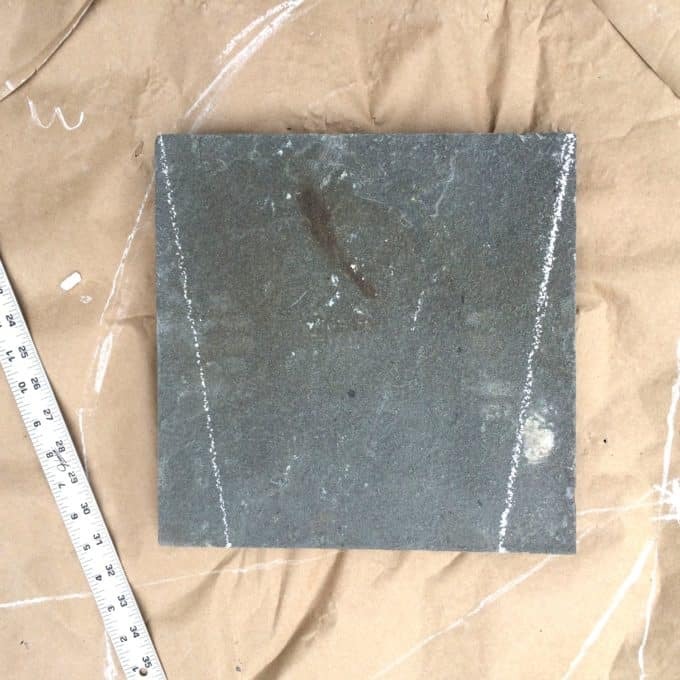 A note on choosing bluestone – natural cleft or thermal? 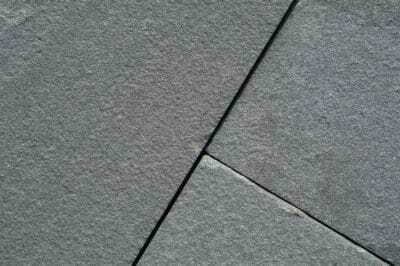 Landscaping bluestone comes various finishes -the most common being natural cleft and thermal. I loved the natural cleft blue stone, which has color variations through it that I thought would compliment the stone veneer really well and have a more natural, rustic affect. 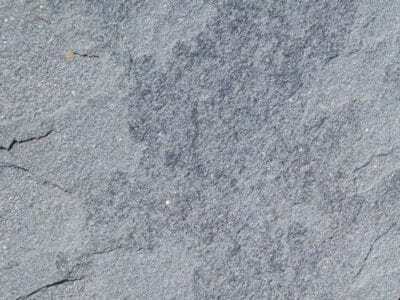 If you’re wondering what the heck natural cleft is, it’s bluestone that is cut on natural seams and has an irregular surface, showing the “grain”. 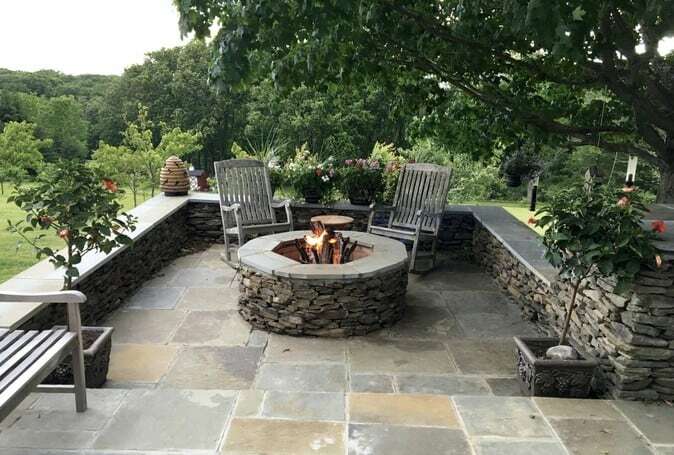 Thermal bluestone is what you would typically see used as pavers on a patio, or as the top of a stone wall. This bluestone is cut like a loaf of bread and is then fired to give it a uniform thickness and surface. Keep in mind that if you use natural cleft like I did, even if you choose stones that are around the same thickness, you’ll probably have a variance with the stones in the circle. I felt like that was perfect for our more rustic, natural design, but you may choose to use thermal for a more uniform and tailored look. I will readily admit that this was a pretty laborious and time consuming project, but even still, it is one of my favorite DIYs to date. I loved tackling a stone project and I would do it again in a heartbeat. Many thanks to Stone Farm for partnering with me on this project. I initially reached out to them because Mark and I have long admired their products. This space has already added so much quality to our life in this house. 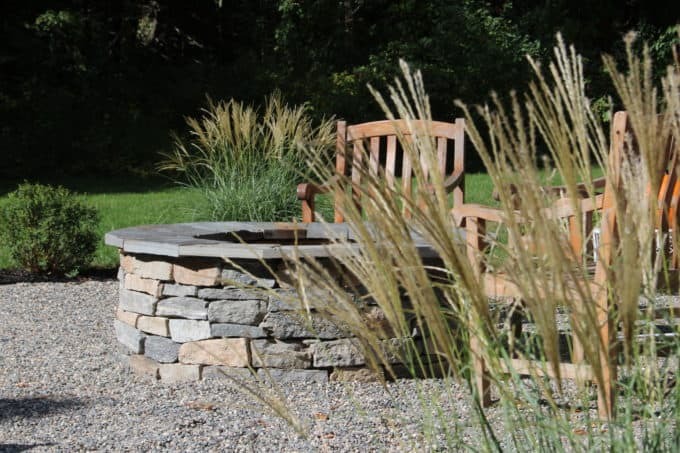 We love how the fire pit itself came out and can’t wait to embellish the garden around the patio with landscaping and use our fire pit patio for many years to come. 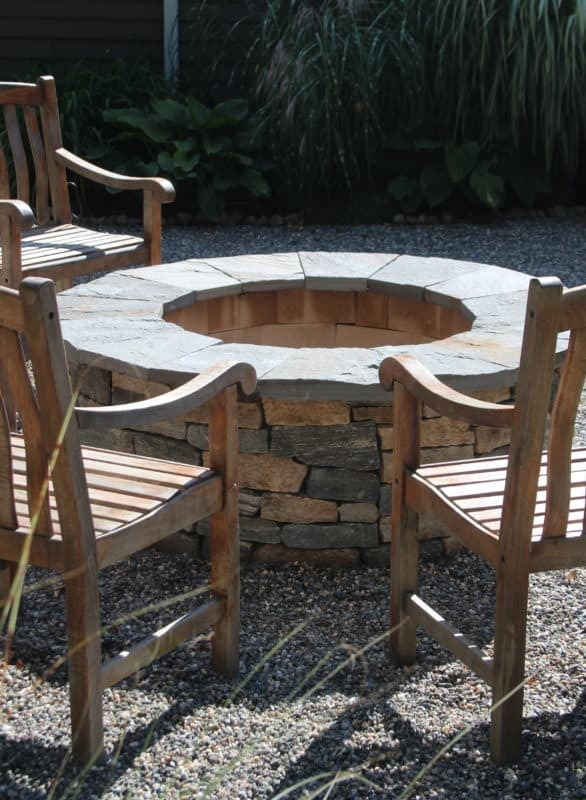 Check out the Stone Farm website for stunning outdoor spaces with reclaimed stone! 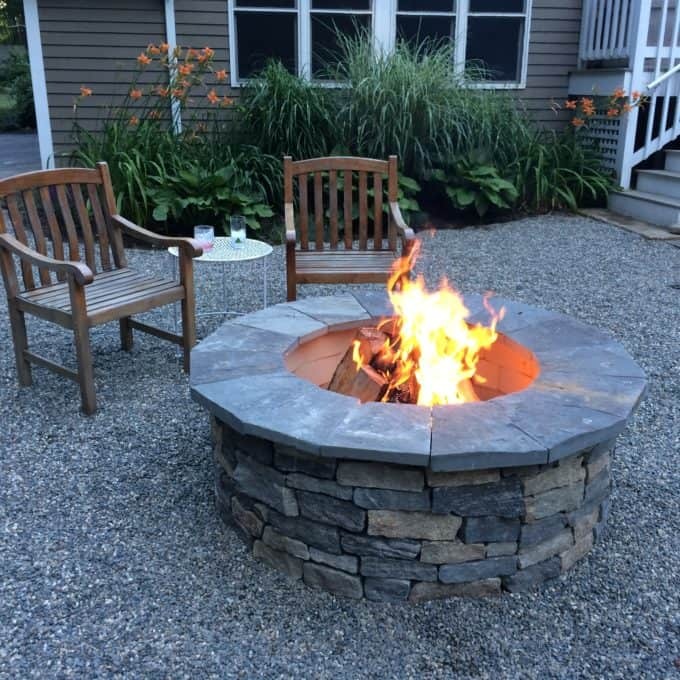 We enjoyed the patio this summer, but a fire pit during a New England autumn is the best! I’ll show you in the near future how we entertain out here with friends and family on a gorgeous, starry skied, crisp fall night! girl you need a tv show. seriously. somebody please give Lisa a DIY show because there’s nothing you can’t do! Nancy you are the best. I read your comment to my family and they all laughed their heads off thinking about what a nutcase I would be as the host of a show. You are seriously the sweetest and your kind comments always make my day!!! i love how finished it looks! I’m still in awe every time I see it! Can’t even imagine all the fun memories you’ll create our there around it! This project is awesome, Laura! I love your finish so much, it looks beautiful. This is definitely a best corner for family to gather on the weekend.. I really consider building one in my backyard right now using your tutorial! Thank you Jennifer! We love it – just used it over the chilly weekend. It’s great for keeping a big group of teenagers entertained! 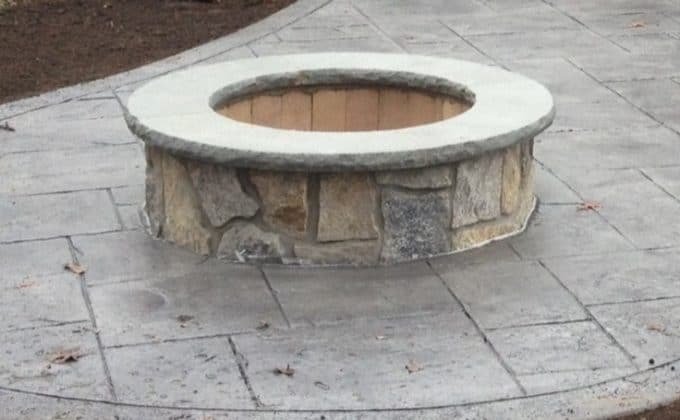 I’m very impressed with your detailing planning and execution for the capstone on your fire pit – well done! It looks like a great spot to enjoy many evenings with your family. Cheers.